The real estate market in Las Vegas is a true oasis for golf enthusiasts. In Las Vegas Valley alone there are over 60 beautiful private, semi-private and public golf courses to choose from surrounded by everything from fairway town homes to spectacular expansive private estates nestled high above the greens. Finding your dream home near a championship course is at your fingertips. Country clubs and private golf course communities have been built to furnish the incredible demand for luxury country club lifestyle living in Las Vegas. There are outstanding golf neighborhoods with a amazing array of amenities including gourmet award winning restaurants, tennis courts, state of the art fitness centers, resort style pools, and of course championship golf. Buying your new home in a golf course community can range from starter home prices and go well up into the millions depending on the golf community you desire. If you prefer a plush guard gated golf community the Anthem Country Club, Canyon Gate Golf Club and Lake Las Vegas South Shore Homes are some of the top luxury golf communities. 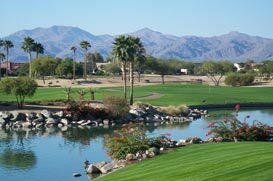 The Southern Highlands Country Club, Spanish Trails Country Club, and Stallion Mountain Golf, to name a few, offer affordable elegant amenities such as private pools and spas along with gorgeous fairway views and waterscapes. Some of the world’s finest championship golf courses are in Las Vegas. They include Shadow Creek, The Wynn Golf Club, Bali Hai, Badlands and many more; all designed by the world’s premier golf-course architects. No matter where in Las Vegas you plan to live, the perfect golf course community is waiting for you and we will help you find it.